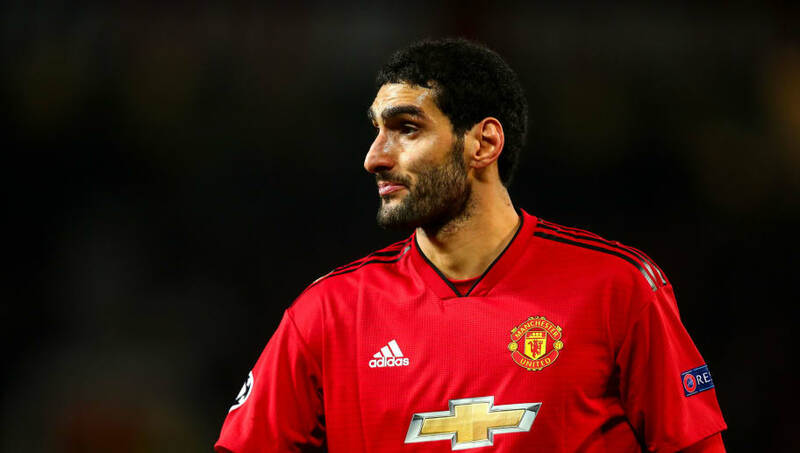 Marouane Fellaini has vowed to 'pay back' Manchester United manager Jose Mourinho's faith on the pitch, after netting his side's last-gasp winner in an otherwise drab match against Young Boys in the Champions League on Tuesday night. The Belgian's 90th minute finish put United through to the knockout stages of the competition with a game to spare, though there was still very little to cheer about in the preceding 89 minutes at Old Trafford. Mourinho's style of play came under fire again, as the Red Devils showed next no sense of urgency in front of their own fans against weaker opposition. United fashioned 21 shots on goal, but only four were on target. Speaking to the press after the game, as quoted by ​Sky Sports, the 30-year-old Fellaini reiterated his support for the Portuguese tactician. Fellain said: "I feel comfortable. I'm happy with him. He gives me a lot of confidence and he trusts me. That's important for a player. I try to pay him back on the pitch. "I always try to give everything for the team. Whether I start or not, everybody knows I'm a team player. The most important thing is to take the points and win the games." Mourinho believes that De Gea wants to stay at United beyond his contract! The former Everton man was brought to ​Manchester by David Moyes in that first post-Sir Alex Ferguson season, and has since played under Louis van Gaal as well as Mourinho. ​Fellaini declared: "I've never had a problem with a manager. When a manager comes, I give everything for him." Next up for United is a trip to lowly Southampton in the ​Premier League on Saturday, followed the midweek welcoming of Arsenal to Old Trafford.